When it comes to these tough Wrangler Riggs Men's Antique Indigo 3W001 AI Work Horse Relaxed Fit Jeans, they name says it all. These hardworking jeans will give you more than a day's worth of work every single time. With the exclusive Room2Move® fit, these wor ... (see full details) (see specifications) #WRG3W001AI. When it comes to these tough Wrangler Riggs Men's Antique Indigo 3W001 AI Work Horse Relaxed Fit Jeans, they name says it all. These hardworking jeans will give you more than a day's worth of work every single time. With the exclusive Room2Move® fit, these work pants offer an improved fit in the seat, thigh, knee, and bottom opening of the pant leg plus an action-gusset crotch -- extra cloth for a better fit and greater freedom of movement, delivering extra room and reinforcement in that sensitive wear area. With a high rise and a relaxed fit, these jeans are ideal for all-day work. They're made to fit over your boots, too. In addition, these men's jeans are made from Durashield® denim, a performance fabric that moves during wearing and washing, helping the fabric retain color and reduce abrasion. Triple-needle stitching adds durability to the construction and features like a #5 YKK brass zipper and 3/4-inch by 2 1/4-inch belt loops add durability. These classic five-pocket jeans have an oversized watch pocket and 13-inch deep front pockets with 7.25 oz. white pocketing material (great when you need all that storage), and there is also a useful tape measure reinforcement patch on the right front pocket to keep your tape measure from tearing up that pocket. The back pockets are reinforced at stress areas and lined with 1000-Denier DuPont Cordura®, so you can carry your wallet or anything else without having to worry about it wearing a hole through the fabric. For added convenience, they have a hammer loop on the right side. Don't waste time and money on work pants that don't stand up to the demands of your workday. 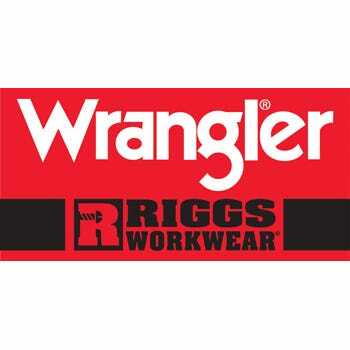 Order your Wrangler Riggs Men's Antique Indigo 3W001 AI Work Horse Relaxed Fit Jeans from the workwear experts at Working Person's Store today! These are very good Jeans that hold up well over a long period of time. I think they hold up so well partly because they are a bit heavier material than most Jeans are. I've tried about every brand of Jeans, and I believe that these Wrangler/Riggs Jeans actually hold up even better than the 'Levi' brand does. I own several pairs of these and will be buying even more, as I am well satisfied. Highly recommend, and you can't beat the price here at the WorkingPerson Site! 73 out of 73 people found this product review helpful. These are the most confortable jeans I have ever owned. They are better made than any others I have worn in my life. There is no going back now. Buy them you will never regret it. I worked offshore on the supply boats in the oil field for 20 years and now 13 years in the marshes of South Louisiana, these are the best! Wild Bill. 48 out of 49 people found this product review helpful. These are the only jeans I buy. Ihad trouble with the stone washed jeans but the regular color is Great!!. I first bought these about 4 years back. I now only buy Riggs. 43 out of 43 people found this product review helpful. These jeans are some of the best fitting and wearing jeans in the industry. I use to be a die hard Levi 560 person, but these Riggs outwear those 3:1. These jeans are worth their weight in gold! Wranglers Riggs brand is by far the best jean that you can get for your money. The fabric is heavier than most jeans but is still comfortable to wear. These jeans have a gusset in the crotch which makes bending and crouching a lot easier . They have a lining on the back pockets that prevents the usual wear from happening. The best part is the price! If you buy these jeans from Working Persons Store they are less expensive than buying a regular jean from a department store. Wrangler Riggs Jeans: Men's Antique Indigo 3W001 AI Work Horse Relaxed Fit Jeans is being added to your cart.